5. Now the report designer is going to open. There you can design the new template individually. For more information on how to use the report designer, see InLoox Report Designer. When you have finished, click on Apply in the InLoox options, to save your changes. 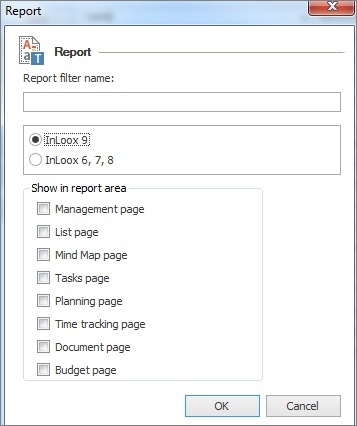 To change the content of an already existing report template, select the template in the overview and click on Design. The InLoox report designer is going to open. For more information on how to use the report designer, see InLoox Report Designer. When you have finished, click on Apply in the InLoox options, to save your changes. 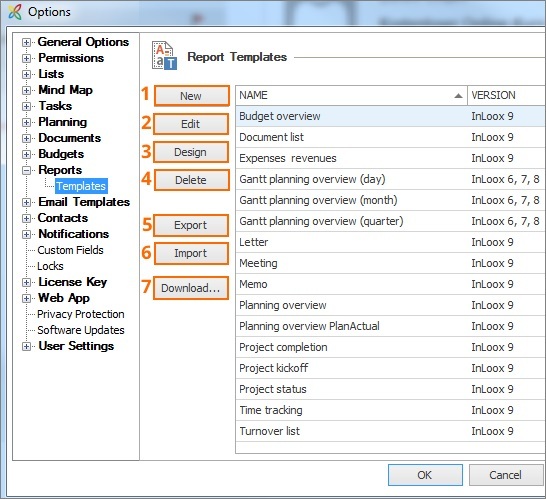 How to manage report templates | InLoox 9 for Outlook • Copyright 1999-2019 © InLoox, Inc. All rights reserved.